Southwold, Suffok. 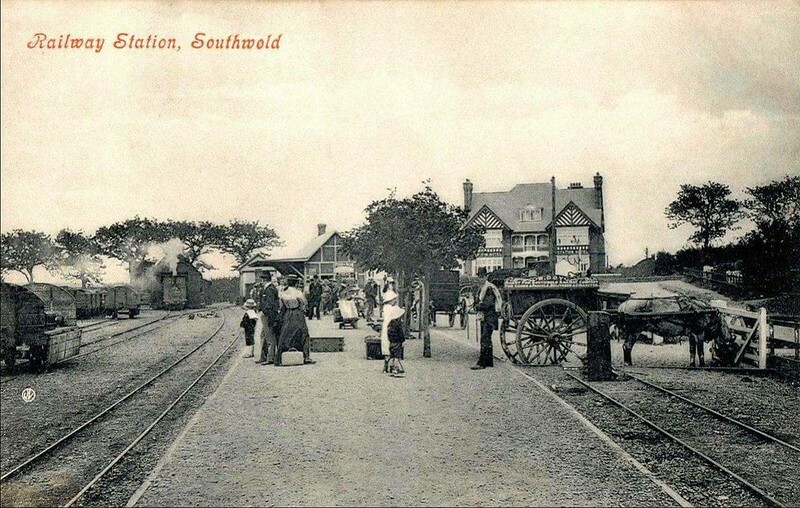 The station opened 24th September 1879. Closed completely 12th April 1929. The line was a terminus of a nine mile line from Halesworth on the East Suffolk line. Southwold fire station now occupies the site. Image with kind permission of The Halesworth to Southwold Narrow Guage Railway Society.